I took a few minutes last night to work on the assignments for days 13 and 14, after I spent 45 minutes vacuuming my house. Yes, I timed myself and it took a full 45 minutes to vacuum everything. After the last 4 Weeks series earlier this year, I have tried to keep the top of my fridge clear of any items, but unfortunately, it hasn’t been feasible over the past couple of weeks. During the last Super Doubles coupon event at Harris Teeter, I brought so much food home that I ran out of places to store it! I had to put a few boxes of cereal, popcorn and coffee on top of the fridge until we can eat through everything. I also had to find a new place for my serving tray because it just doesn’t fit anywhere else. Luckily, it wasn’t too hard to clean up the fridge, since it was just a bit dusty. It only took me a minute to move everything, wipe down the dust, and put everything back in place. The junk and utensil drawers were another matter. Again, after cleaning out these drawers in April, they are back to a sorry state. 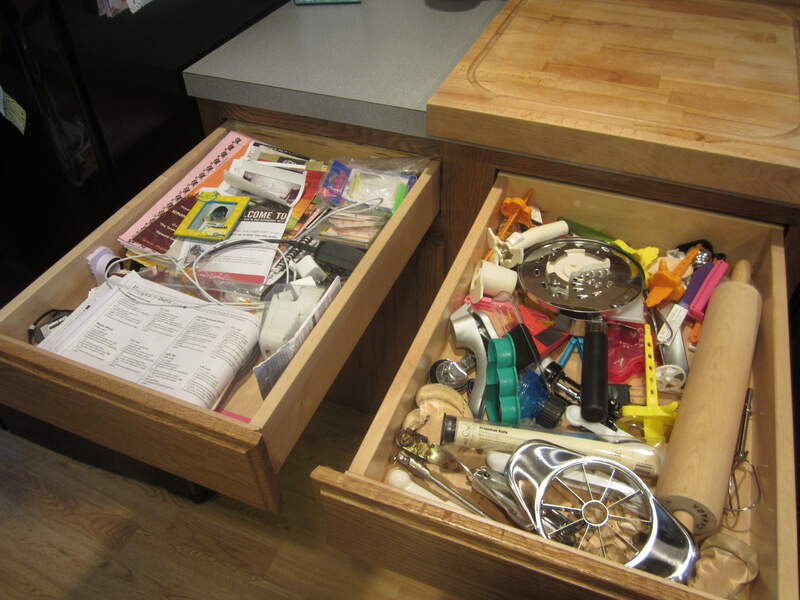 I knew the utensil drawer would probably get messy again because it’s just impossible to fit everything into an organizer, but I had great hopes that the junk drawer would stay clean. I threw away a bunch of papers and filed away some others, rounded up all the cell phone cords and lined up everything nice and neat. Looks (and closes) much better now! What a great feeling to know that my house is getting organized a little bit every day! Come back next week to see what else this series has in store…. I still have tasks from this week I need to catch up on as well. My stove scares me! Isn’t it nice to have the drawers close easier? I’ve had issues in the past with our utensil drawers not closing (or opening) very easily. 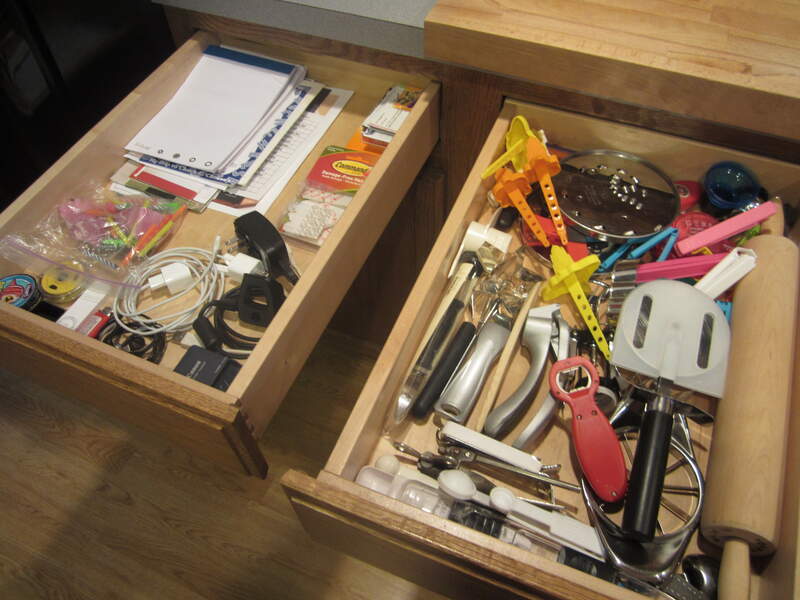 When I went to clean my drawers my junk drawer was actually better than my utensil drawer. My utensil drawer was in pretty poor shape. It looks a lot better now so I am hoping it can stay that way for a while. 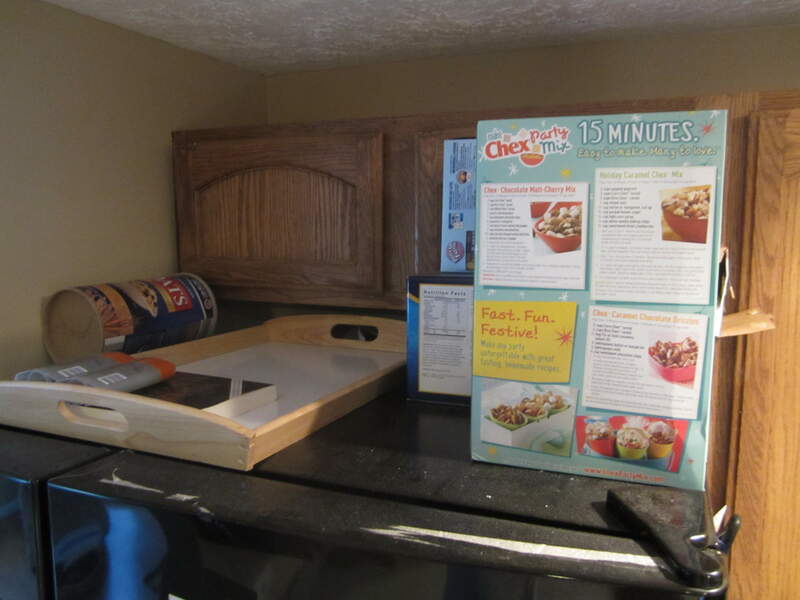 It feels good to clear things out and really KNOW whats in my kitchen. I can’t believe you vacuumed for 45 minutes- what a workout!